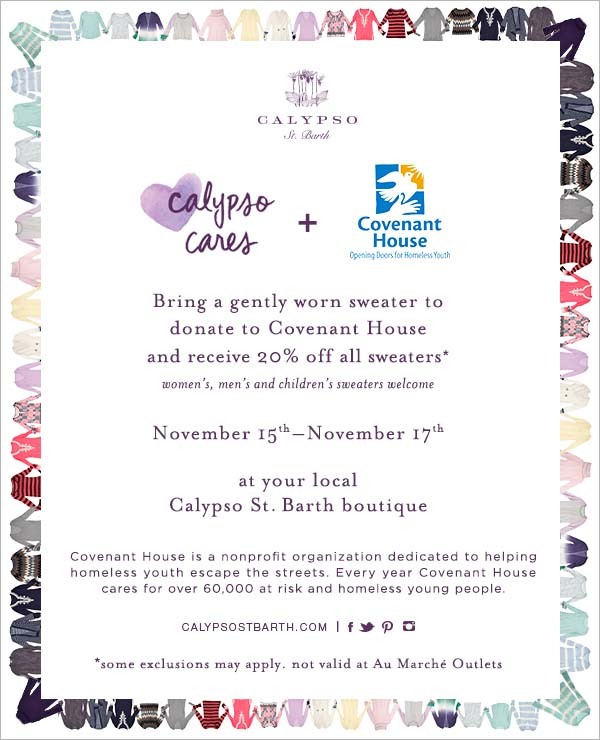 Join Calypso St. Barth this weekend as they pair up with Covenant House by donating a gently worn sweater, and receive 20% off all sweaters! I was lucky enough to have a Calypso cashmere on my trip to NY, and I have to say it saved me everyday. It has definitely become my cold weather travel essential. Get one of your own this weekend at Calypso St. Barth Waikiki!